HOPE. What does the word “hope” mean to you? When I say the word “hope” out loud, it usually comes out in a way that sounds desperate and eager in my tone of voice. I looked up the definition of the word “hope” today in Google’s online dictionary and these were the following definitions: 1. “a feeling of expectations and desire for a certain thing to happen. 2. “a person or thing that may help or save someone. 3. “grounds for believing that something good may happen.” 4. “a feeling of trust.” Hope is something we all feel or have had at one moment or another in our lives. Oftentimes, that four-letter word is the only thing that gets me through a tough day. There is an organization within our community that puts to use all four of those definitions in one beautiful, purpose-filled night called, “Gathering Hope”. This once a year event connects women to resources and community after pregnancy and infant loss. It’s a night dedicated to giving women an opportunity to remember together, grieve together, encourage one another, and maybe even share their story for the first time with other women who have experienced the indescribable pain of losing a child. I had the privilege of sitting down to coffee with the three incredibly vulnerable and strong women that have made Gathering Hope happen over the past, almost 3 years: Peyton Lauderdale (Co-Founder and Board Chair), Carol Vantine (Co- Founder and Board Vice Chair), and Amy Couser (Board Member and Volunteer Coordinator). Each one of these women lost a baby, and through their journey of healing, found one another. On April 6, 2014, Peyton and her husband Justin lost their son James Marcus only 18 hours after he was delivered by emergency C-section. Peyton shared openly about the short but precious time they had with their son before he died. They were surrounded by family and friends that “poured into our room and spilled out into the hallway at Cook Children’s Hospital to say hello and goodbye to our precious son.” They had a funeral for James as a public way to acknowledge his short life and to say goodbye, alongside the people closest to them. Just a week later, Peyton said, “cards and letters began to pour in. There was something different about many of these letters; along with the normal sentiments expressed after the death of a loved one, other mothers began sharing their babies with me. Babies I had no idea existed until now. Babies they may have only shared with their husband or very close friends. Babies they somehow felt at ease about sharing now, with another mom who lost her own. 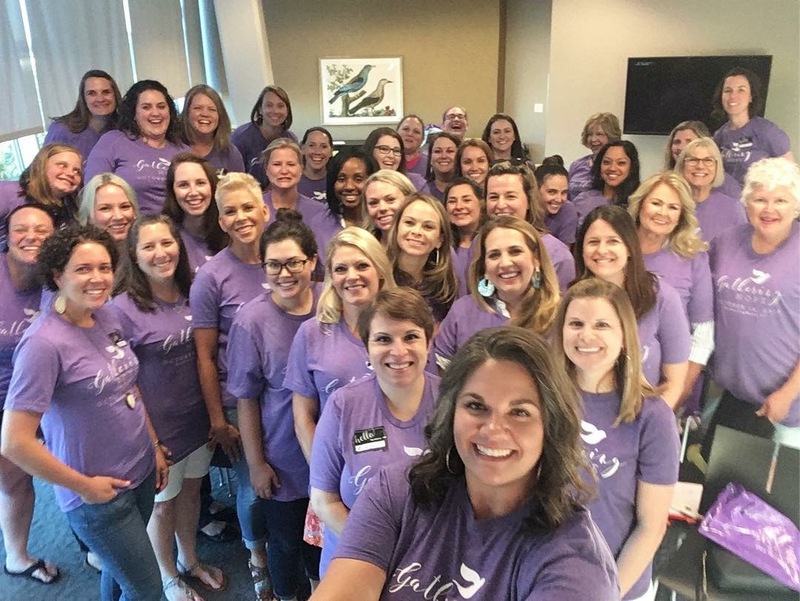 These letters served a greater purpose in the formation of our organization, but I had no idea at the time.” Several months later, she was seeing a counselor and leading a women’s Bible study. While doing her homework, Peyton says she saw a picture of something in her head. “It was a dark room with candlelight, but the scene was gone from my head, just as quickly as it entered.” Peyton also had an idea to have a memorial for grieving mothers, which she shared with her counselor. She stated she had no idea what it would look like or how to get people there, but felt strongly that God, whom she has a deep relationship with, was calling on her to make it happen. Her counselor not only agreed it was a wonderful idea…she already had a speaker she could use! The idea was turning into a reality very quickly. “Volunteers lined up, people offered their talents and Gathering Hope was born”, she stated. October 22, 2015 was a stormy night for their first meeting. Peyton wasn’t sure anyone would even come, but even amidst the pouring rain, thunder and lighting, the women began to arrive. 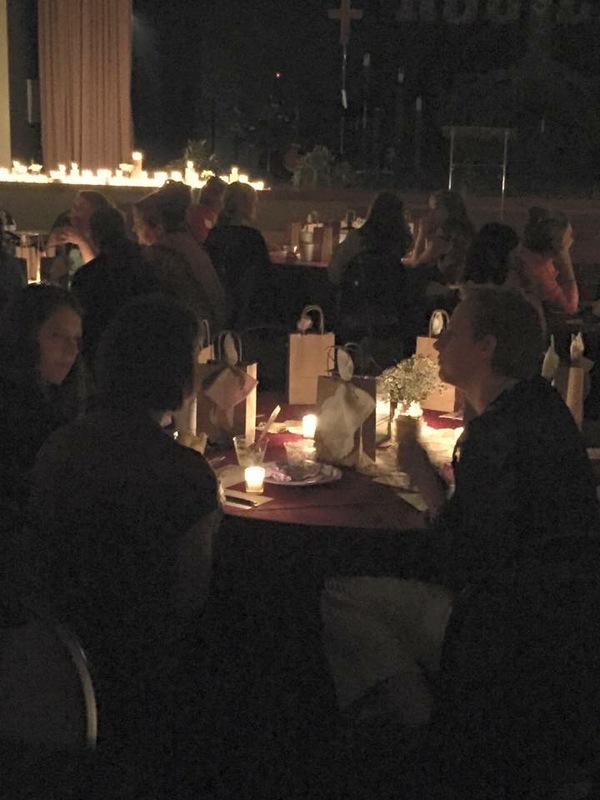 During the second part of the evening, the women broke up into small groups to share their stories with one another. A few moments later, there was what sounded like a large explosion outside, which they would later find out was caused from lightening hitting a transformer. The explosion caused the electricity to go out so that the only light that could be seen was flickering from the candles around the room. This was what she had seen in her mind months prior to the gathering! A dark room lit with candles. She believes God gave her a glimpse into what He had in store for her and many other hurting moms, which was to be an intimate and safe place to share the deepest aches of their hearts regarding the loss of their babies. It would be a place to remember and honor each precious life and support one another in the process. Carol lost her baby boy Matthew, in 2010.Trying to move forward in her own grief, she had begun to share her story through her personal blog and walking alongside other friends sharing the same grief. Carol had been told by a friend, only a few months after losing Matthew, that it might be time to “move on”. Carol thought, “Oh. I’m making people uncomfortable with my grief. I better get back to my life.” Not long after attempting to do just that, she started meeting with a woman who had lost her child and had been told the same thing: “time to move on with your life.” In hearing this, Carol immediately responded with a passionate “NO! You don’t have to just move on!” She helped her friend recognize that it was important to allow yourself to grieve. After all, it was a life worth celebrating, worth remembering, worth the tears. Amy had a miscarriage when she was only 10 weeks pregnant in 2002. Her husband, a pastor, had encouraged her to share her story with a few people who had been dealing with a similar situation. She willingly did so, and in the process, was able to find her own healing in sharing her story with them. Like Carol, she had moments where she felt like she should “get over it and move on”. 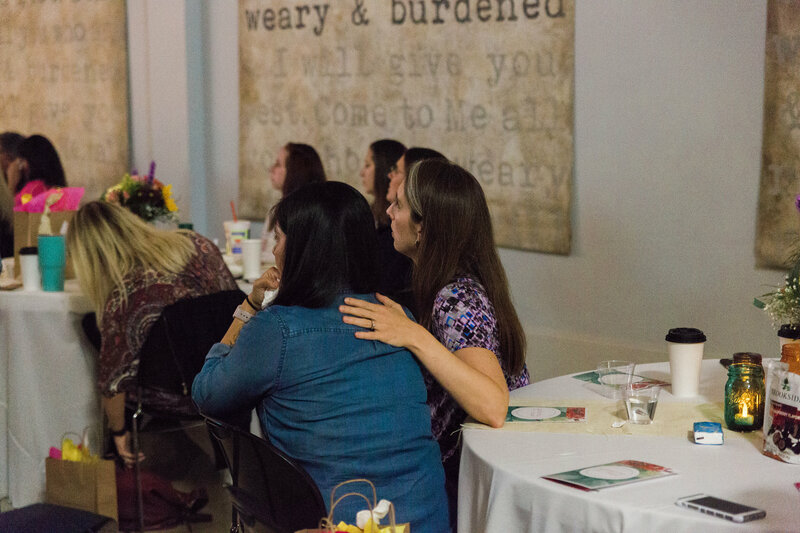 She joined a friend to attend Gathering Hope, but realized during the evening, as she shared her story with other women, it allowed her to do some grieving she didn’t think she had ever really done. The following year, she became a table leader, and then was asked to serve on the board and become Gathering Hope’s Volunteer Coordinator. Each of these beautiful souls had a story to tell. Each story was unique and difficult in its own way. Each life that was lost, represented in their story, was valued and given a moment to be recognized. Is there someone in your life that would benefit from such and evening? If so, join my new friends on October 14, 2018 from 4-7pm at the Summit in Aledo. I am certain it will be worth it. Jennifer Kieta is a native Texan, born and raised in Houston. She graduated from Texas Tech University and has lived in Fort Worth since 1996. Jennifer worked as a Child Life Specialist at Cook Children’s Medical Center for 9 years before becoming a full-time mommy to her two daughters. In the fall of 2014, Jennifer started training and soon became a spin instructor for Zyn22, a boutique spin studio here in Fort Worth. Her love of and belief in taking care of your mind, soul, and body has always been a priority, and she looks forward to sharing that love with her community!